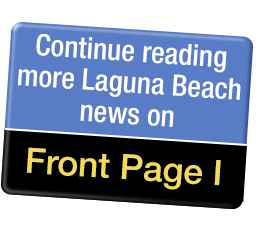 The agenda for tonight’s (Tuesday, Jan 15) regular LBUSD Board meeting has been posted online here. The agenda includes the oath of office for new Board Member James Kelly at 4:55 p.m. The Board will adjourn to closed session from 5 to 6 p.m. with open session beginning at 6 p.m. The agenda includes a Board recognition of PTA Reflections winners, as well as an informational presentation about the District’s journey to a K-12 social-emotional learning system. On August 21, staff presented information regarding the Social Emotional Supports implemented at LBUSD schools during the 2017-2018 school year and ongoing services in 2018-2019. Staff also presented at the Annual Conference on Advancing School Mental Health regarding LBUSD implementation and more recently presented at the California School Boards Association Annual Education Conference. This presentation will include an overview of the information presented at both conferences, and also provide an update to include fall Universal Social and Emotional Learning (SEL) Screening Data and aligned strategies to support student social and emotional well being.